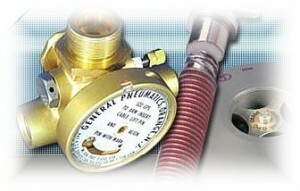 GarKenyon expands product line with acquisition of General Pneumatics Corporation of New Jersey. In an effort to show the cohesiveness of the new operation, the hyphen was dropped from the name of GarKenyon. GarKenyon was named “Manufacturer of the Year” by the Naugatuck Chamber of Commerce. Over the next three years, Fournier invested about $1 million into the company, transforming it into a leaner, more efficient operation. During that span, GarKenyon built on its solid reputation as a leading producer of high quality engineered aircraft hydraulic and pneumatic components. The company instituted lean practices and techniques that took the waste out of the manufacturing process, reduced cost and improved quality and productivity. At the same time, a renewed focus was placed on customer satisfaction, along with attracting and retaining top talent in the engineering field. Steven Fournier, a certified public accountant who was then president and chief operating officer of Matthews Ventures, acquired GarKenyon from his employer. New company logo updated in March 2011. On the same day, Fournier closed a purchase of the 44,000-square-foot former Lewis Engineering building in Naugatuck, a building that had been vacant since 1999. He moved the operation to its present home in Naugatuck in May of that year. GarKenyon was purchased by Matthews Ventures Holdings of New Haven, CT.
New owner Steve Fournier with actuator. Quincy Technologies sold the three companies to a newly formed firm, New Haven Manufacturing Corp. This company was the result of an employee-led leveraged buyout. Unfortunately, that group was unable to execute its plan, and was forced to sell its assets. 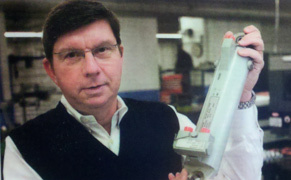 During this decade, GarKenyon partnered in the development of components used in various Regional Jet aircraft. Mite sold GarKenyon, Amatom and Stromberg to Quincy Technologies, a holding company based in Long Island, N.Y.
Mite Corporation moved the GarKenyon operation to its Blake Street plant in New Haven. During this decade and especially in the 1980s, GarKenyon became closer aligned with Piper Aircraft and began to develop numerous hydraulic components: brakes, restrictors, shuttle valves, actuators and special components. Heli-Coil was acquired by Mite Corporation, and the GarKenyon operation was combined with Amatom Electronic Hardware and Stromberg Time and Attendance Systems. GarKenyon was acquired by Heli-Coil Products of Danbury and operations were relocated to the parent company’s plant. The company continued to focus on military aircraft with approximately 75% of sales originating from such programs as the A-10, F-16, F-14 and F-18. First GK company headquarters in Brewster, NY. 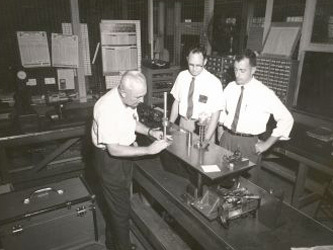 GarKenyon officially was formed when Kenyon Instrument and the Valve Division of Gar Precision, two companies based in Brewster, N.Y., merged. Both companies specialized in the design and manufacture of hydraulic and pneumatic components for use in military aircraft.